I must preface this recipe with the fact that I was heavily inspired by Jenifer D’s amazing Kimchi Burger. Without it, this version would be non-existent. 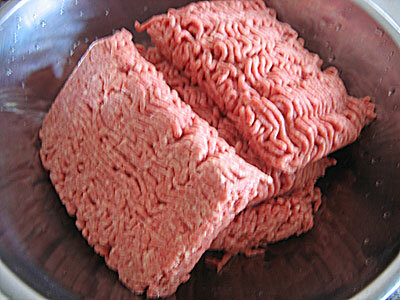 I was attending a BBQ and as such made a batch large enough for approximately 24 patties. You’ll probably want to adjust the portions accordingly. 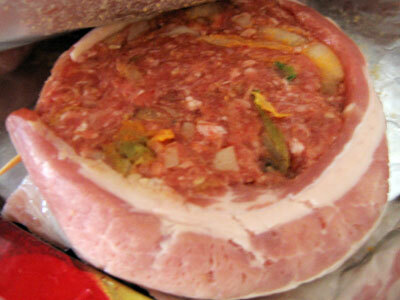 Just adjust the ratio of the ingredients to match the amount of meat you’ll be using. This is pretty straight forward. Like cooking anything else, it always helps to have everything prepared. Your dishes, cutting board, knives, paper towels, and of course a clear area in which to prepare everything. It just makes everything run that much more smoother. Plus if you’re like me and enjoy photographing the process so you’ll have a pseudo visual cook book, it looks a lot better. 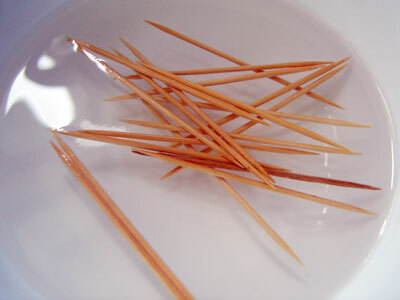 The first thing you’ll want to do is dump all the toothpicks into a container of water so they’ll be moist. This will prevent them from catching fire or burning etc when you BBQ, fry, grill, or however else you’ll be cooking them. Definitely don’t need the taste of the burger altered by a tiny piece of flaming wood now would you? 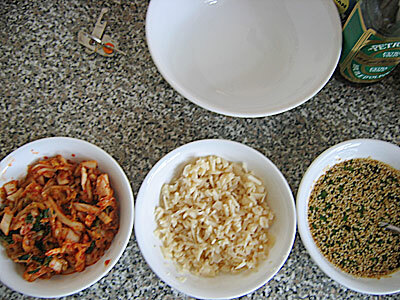 Part of making the Bastardized Kimchi Burger is making a Bastardized Bulgogi Sauce. I most definitely must thank Jenifer D. for the vital ingredient list since I must say all the various bulgogi sauces I’ve made before pale in comparison to this concoction. 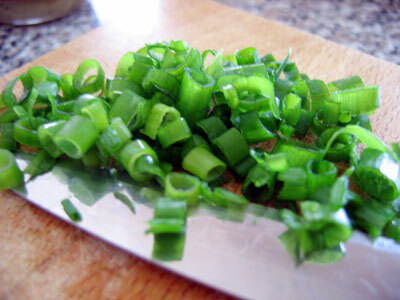 First step is to chop up the scallions also known as green onions. Next step is to mix all the liquid ingredients together with the sugar in a bowl. Fill a larger bowl with warm water and place your smaller bowl into it. 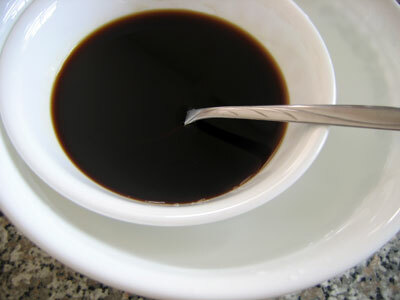 Pour the sugar into the bowl and begin mixing it with the soy sauce. The larger bowl of warm water will help the sugar dissolve. 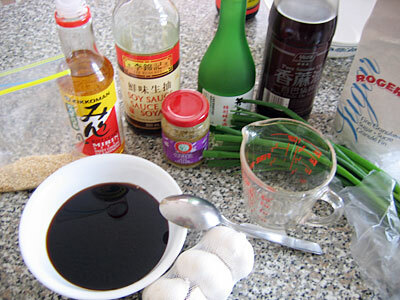 Pour in the sesame oil, sake, and mirin. Now you’ll want to add all the solid ingredients into the mix. 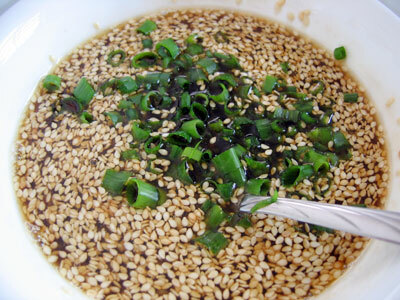 Stir in the sesame seeds, scallions, and garlic jalapenos. Stir it all up good. These ingredients will inevitably float to the surface but try to mix them as best as you can. It’ll look like there is way too much but keep in mind it’s all floating atop a ton of liquid. 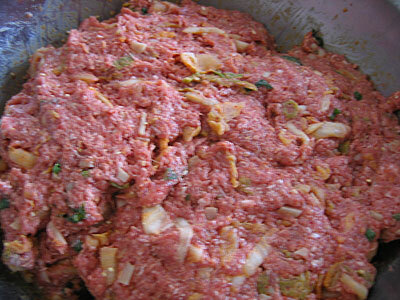 You’ll want to put the sauce aside as you get ready to prepare the parts that go into the meat patties. 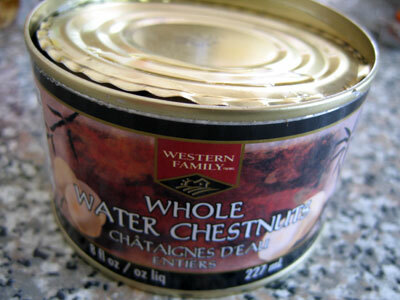 It’s probably easiest to buy a can of water chestnuts as opposed to buying them fresh. It just makes the process slightly quicker and saves time. Pop open that can and drain all the water from the can, squeeze whatever water you can from the chestnuts themselves as well. They’ll be soaking up plenty of flavour later. You’ll have a varying amount of chestnuts. Just eyeball the amount, you can add more or less depending on your personal preference. Approximately a large handful. 8 fluid oz or 1 cup of chestnuts. I purchased 2 cans, but decided to scale them back slightly for my 5lbs of beef and only used 1 can. Chop up the chestnuts. 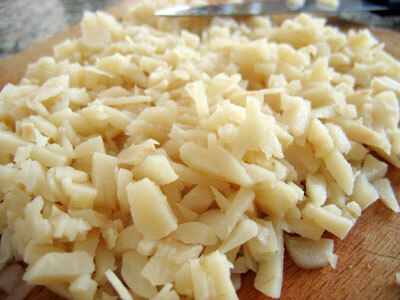 If you have a ginzu knife, now’s the time to whip it out and slice, dice and make julien fries! Well not quite. 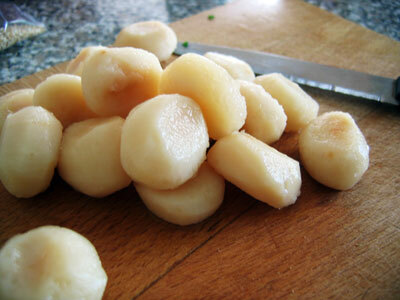 Just chop up the water chestnuts so that they’re small enough to mix easily with the meat. They’re only meant to enhance the final texture of the burgers so you can adjust the amount added based on your own preference. 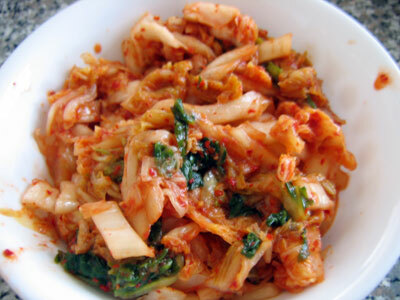 Kimchi is of course the most important aspect of this recipe and since you really can never have too much kimchi just get yourself a large jar of it. Unless you’re skilled at making your own kimchi. Any leftovers you have can always be used elsewhere. If you’re having a barbecue you can always use it as a condiment for your hot dogs. That always tastes good as well. 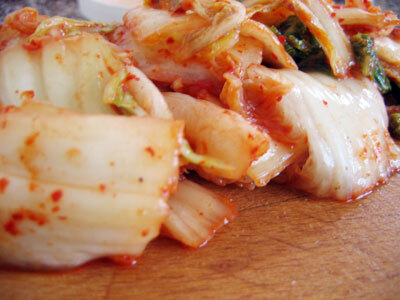 Just like the water chestnuts, you’ll want to chop up the kimchi so that they are in pieces small enough to easily mix with the meat. It’s better to err on the side of smaller pieces since if they’re too large it’ll make it difficult to keep the patties from falling apart. After cooking the burgers the kimchi will be slightly less spicy compared to just eating the kimchi straight, so don’t be afraid to add more. After you’re done chopping up the water chestnuts and kimchi, you’ll want to keep them separate along with the bulgogi sauce. This will make it easier to mix with the meat than if you just dumped them into a giant bowl at this point. This is also a great time to admire how nice things look laid out. This only goes to enforce my theory that anyone can cook an amazing meal if you have everything set out. At this point grab the meat and dump it together into a bowl that is large enough to accommodate the amount of beef you’ve purchased. Start breaking the meat apart from it’s container form and mix all the beef together. You may want to wear gloves if you’re afraid of getting meat stuck under your fingernails, but that’s not fun. Here’s the fun and messy part. Mix the meat slowly whilst adding layers of bulgogi sauce, chopped water chestnuts, and kimchi as you fold the meat into itself. Try to even it all out as much as possible. You’ll want to make sure you thoroughly wash your hands after mixing as well since you’ll be handling some rather spicy ingredients (Kimchi, Garlic Jalapenos). After you’re done mixing, grab a handful of meat and roll it into a ball on your palm. Press your other palm down with even pressure to create a nice flat and circular patty. Grab a piece of bacon and wrap it around the edges of the meat. Some pieces will stay by themselves but you can secure them with those toothpicks soaking in the water. Here’s how I’d serve this burger. Instead of regular hamburger buns, purchase sesame pancake buns from a Chinese bakery. Instead of actual pickles use Asian pickled carrots, radishes etc. Cook up any leftover bulgogi sauce and use it instead of BBQ sauce. Instead of lettuce use a handful of bean sprouts. Serve along with some Cass Lager or Soju. Enjoy!